The selection of stylish, long-lasting cabinets for your kitchen is essential. Whether you cook a lot or just like to heat up prepared items, all of your plates, utensils, and ingredients need an attractive storage place. 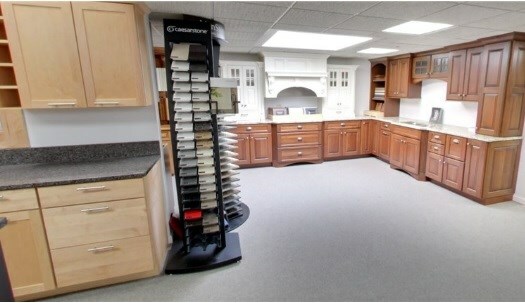 Lakeland Building Supply offers a selection of kitchen cabinets from high-quality brands that you'll love. Our wholesale cabinets are well-made, available in many styles and colors, and come backed with manufacturer guarantees. Old, worn out windows are a draft magnet. Keep your utility bills down by replacing them with one of our beautiful wholesale windows from leading brands. 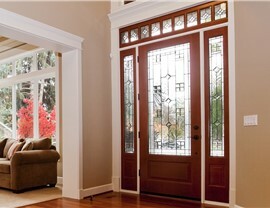 We supply the products at excellent pricing, and you pick the look you want for your new windows. Available in a range of finishes with attractive extra features and options, we know you'll find the windows that perfectly match your home's decor and your personal style. Keep your home secure with replacement patio doors and entry doors from our selection of exterior products from reliable manufacturers. From the sturdy steel security door to the grand French patio door set, we have the Beloit building supplies you need to transform any entryway. Our wholesale doors are available in a wide range of custom colors and finishes with a variety of hardware options for a unique look. Strong durable siding is what every homeowner needs, but Lakeland understands that you also want a product that dramatically boosts curb appeal. Our siding options from recognized Midwestern manufacturers are made to withstand Northern winters while remaining bright and attractive throughout the year. We have everything from vinyl to steel to Hardie siding for homeowners who want a large selection of options. When you spend a lot of time outdoors, you want a sturdy deck capable of handling backyard barbeques, parties, and lounging in the summertime. 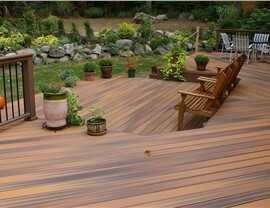 Our decking materials from well-known manufacturers include innovative wood composite decks and lightweight aluminum railing. Available in many colors, wood patterns, and styles, our products give you the opportunity to create the ultimate outdoor living area. Whether you have a small project in mind or a total household renovation, Lakeland Building Supply has all of the materials you need to complete work successfully. We also help you choose from the many design options available at our local showroom, and can provide delivery to your jobsite. Get started with a FREE consultation by calling our Beloit building supply company or filling out our online contact form right away.